Compassionate use is a mechanism to provide medicinal product to an individual patient on humanitarian grounds outside of a specific Puma-sponsored clinical study. This approach may be available to patients who do not have the specific disease or condition under clinical investigation by Puma and, therefore, cannot participate in any Puma clinical trials. The patient's qualified treating doctor makes a formal request and is committed to, and supportive of, the requested treatment. On July 17, 2017 neratinib was approved for the extended adjuvant treatment of HER2-positive early stage breast cancer. 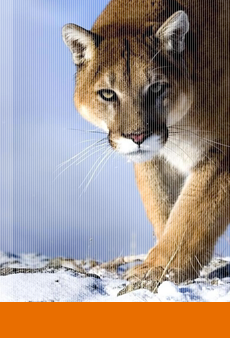 Questions from healthcare providers regarding patients who fall within that indication should be directed to “Puma Patient Lynx,” our patient support program, 1-855-816-5421, Monday to Friday, 8am-8pm EST. Questions from healthcare providers regarding all other patients should be directed to namedpatient@pumabiotechnology.com. Puma offers a Managed Access Program (MAP) for patients outside the United States who meet the program’s inclusion criteria and where permitted by applicable rules, procedures and regulatory authorities. Information requests from healthcare providers outside the United States should be directed to neratinib@caligorrx.com. We anticipate acknowledging receipt of all requests within two business days.